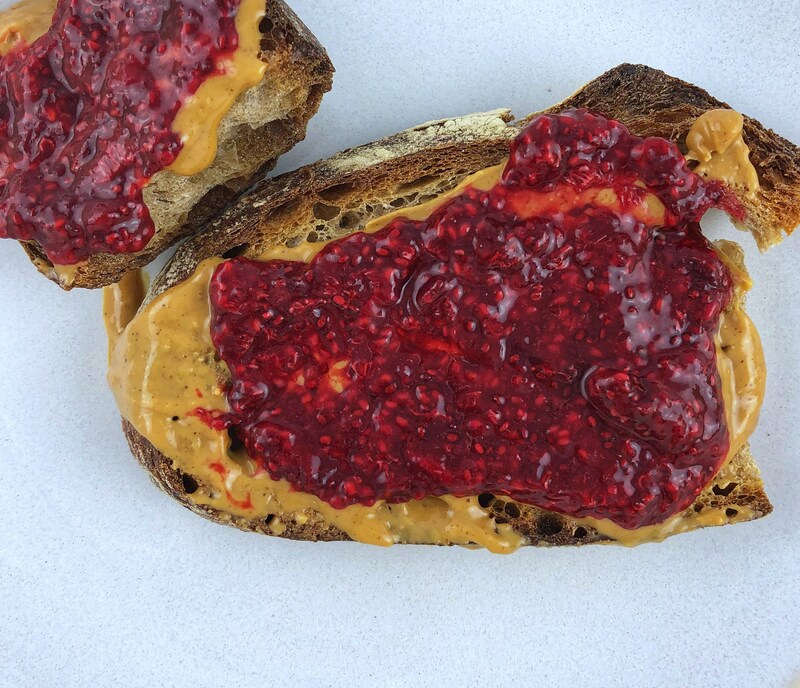 This super creamy almond butter is great with my sweet raspberry chia jam on a slice of whole grain bread! You can add this to any of your favorite breakfasts or even snacks! Apples dipped in almond butter is always a hit and don’t forget smoothies too- yummm..